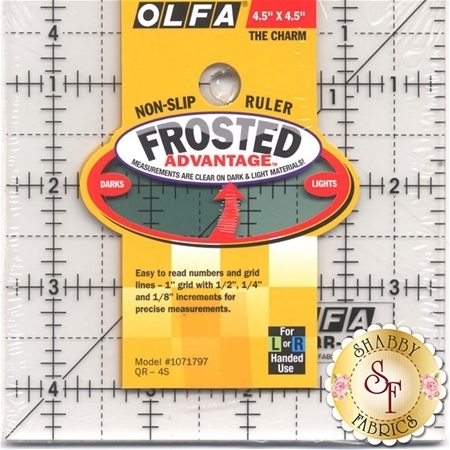 Olfa Frosted Acrylic Ruler 4 1/2" x 4 1/2"
This Olfa ruler will become one of your favorite tools! Perfect template for 4" squares, baby quilts and more. Non-slip surface with black markings and easy to read numbers and gridlines. This ruler features 1" grid with 1/2", 1/4", and 1/8" increments.